Backup awesome Nendoroid photos, both as physical media as well as digital one – so that we would not ever go saying “Nooooooo! 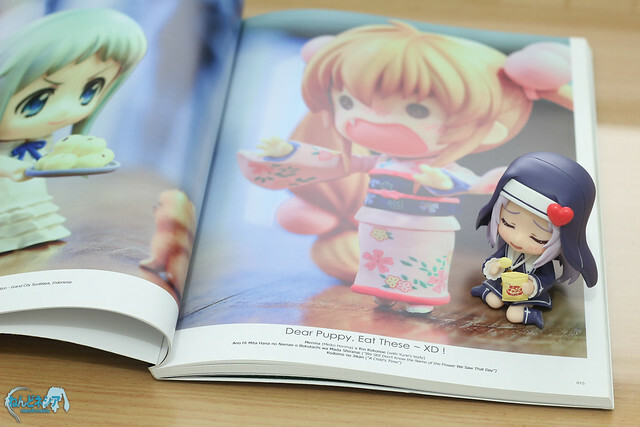 !” when we lost our Nendoroid photos due to some unexpected accidents. 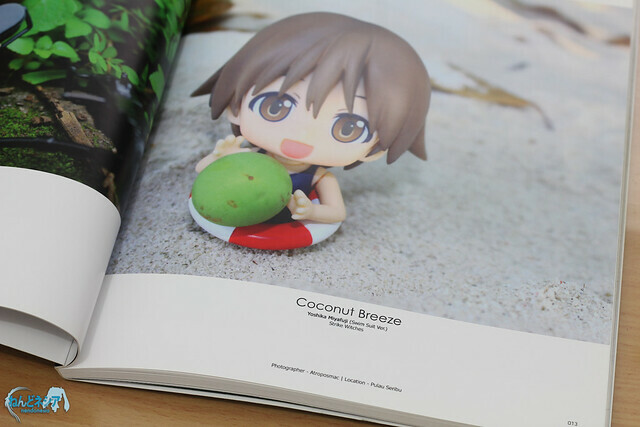 Sharing the experience of taking Nendoroid photos between Nendoroid fans – isn’t it nice to see Nendoroid photos taken by a Nendo-fans in Bali’s Kuta beach? 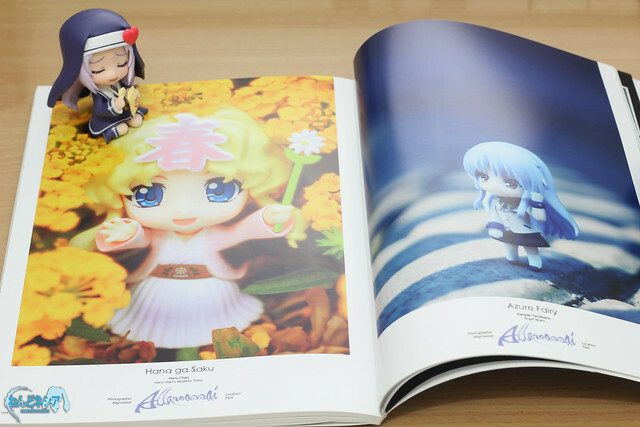 Even a small group of Nendoroid fans are able to do what the “big parties” can do, I want to prove that ideal – well, we should be able to make our own Nendoroid photo album like the Nendoroid Complete File, don’t you think so? Nope, not at all. This is a totally non-profit project. The spirit in this project is “from fans, to fans, and by fans”. The photobook will be published as an e-book (PDF) and printed copy. Price for the printed copy for non backer/donator will be announced later. It is encouraged that photos should be taken outdoor, or somewhere outside your own room. If you decided to take it indoor, make sure that it does not look cramped. The best moment for outdoor photo-shoots is before 10AM, or 3AM until sun sets. It is not recommended to take photos around 11AM – 1PM, as the sun is directly above your head, thus Nendoroid’s face will become dark. But if you have to, please use reflector. You can submit photo(s) of more than one Nendoroid. You can mix the nendoroid parts, but please mention the nendoroid name based on their face plate, hair or other. But you must submit at least one photo with non mixed part. The recommended photo resolution is 10MP (3648 x 2736) or above. However in case your camera’s resolution is lower than 10MP, then submit the best resolution your camera can produce. Pocket (point-and-shoot) camera users: please mind your ISO settings, i.e set the ISO level as low as possible. 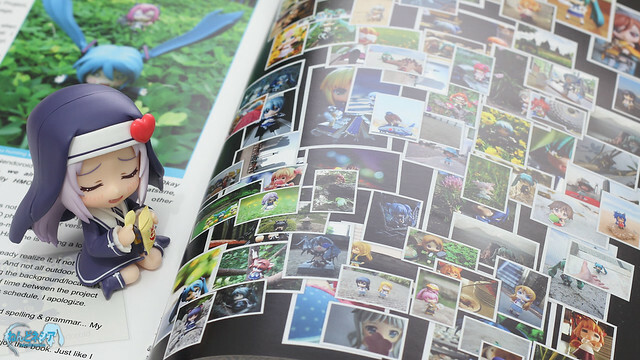 The default photo orientation is portrait (vertical) for one page in the photobook, but if you want to submit a 2-page spread landscape photo, make sure that the important objects in the photo is not located in the center. Before submitting your photo, please double-check and preview it in your computer. It is often that the photos look good on the camera’s LCD, but they look blurry/noisy when viewed on the computer’s (bigger) monitor. Please attach your logo/watermark as a separate file – preferably a large resolution PNG. Do not apply it on your photo(s). You may take photos of several Nendoroids in a frame. It is better if the Nendoroids are coming from the same series (e.g K-ON!, Vocaloids, BRS, etc), but if you are unable to get the ‘feeling’, then feel free to mix the Nendoroids from various series. To make this project more interesting, your photo will be judged and the BEST photo (judged by the admins) will be rewarded with a box of Nendoroid K-ON! 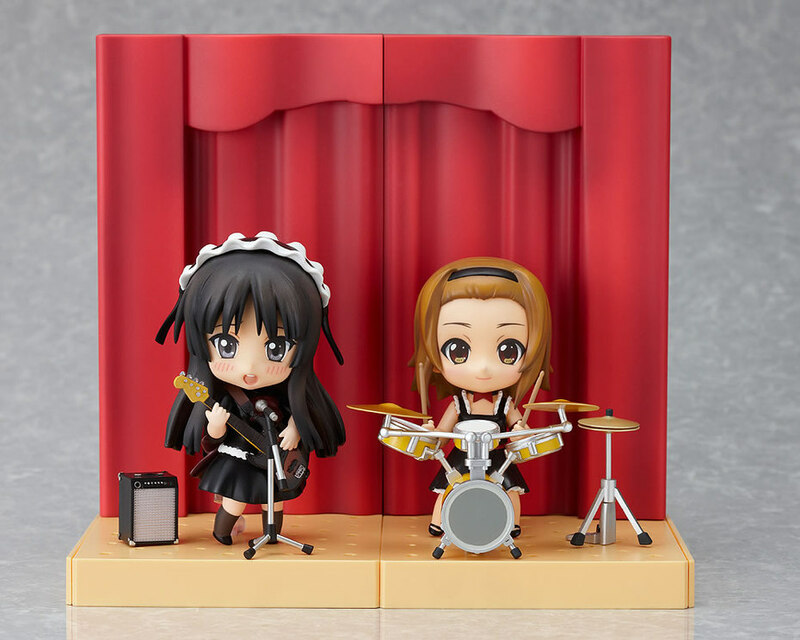 Mio and Ritsu: Live Stage Set. This prize is only available for participants who live in Indonesia, because overseas shipping fee is very expensive. It does not mean that the winner *will be* from Indonesia, so if the best photo is taken by a photographer from outside Indonesia, then the prize will be forfeited and kept for the next event. This prize is intended for Nendoroid photographer who will open and use it for either photography purpose or to be displayed, because the box condition has been dented and the seal was off during the shipment. We will gather photo submission from you, Nendonesian. Note that the dateline for the submission is July 15th, 2014 at 23:59 (GMT+7) extended to July 31st, 2014 at 23:59 (GMT+7) – only for non-Hatsune Miku Nendoroid photos. We will sort and select the photos to be included in the photobook. We will print them out and send them to those who have donated for Donation D and E. We will also give the chance for non backer/donator to get the printed copy later. We will create a PDF of the photobook and it will be available for download. 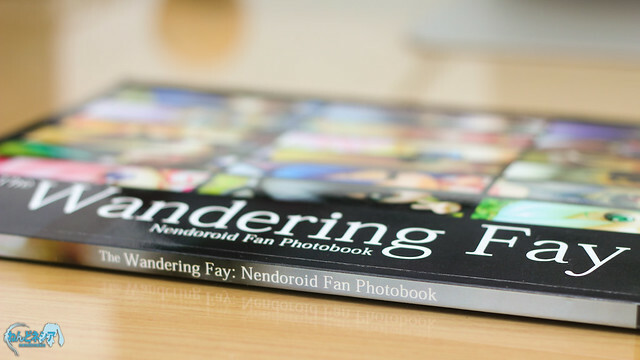 This entry was posted in News, Photos and tagged afaid, nendonesia, photobook, wandering fay, wanfay. yes, I’ve been waiting for this book. hopefully all goes well and everyone is satisfied with the end product.